...by putting dark complexion woman at the front of the line! …by putting dark complexion woman at the front of the line! Another user wrote the shade range was, “not in colour [sic] order.” Beauty Bakerie’s reasoning was that it arranged the shades in this way because, “we’ve been conditioned to think that dark to light is out of order [. ]” Many makeup lines usually only include one or two darker shades for Black women; deeming us an afterthought. So not only has Beauty Bakerie created an inclusive line of foundation shades, but it thought about Black women first. Beauty Bakerie’s vegan products were created in 2011 by Cashmere Nicole, a Black woman. According to Cosmopolitan, single mother who battled breast cancer andhas endured many challenges in her life. Yet the midst of these challenges, Nicole turned Beauty Bakerie into a $5 million dollar business. That’s why the brand’s motto is “better, not bitter.” With an endorsement from Beyoncé, a collaboration with Olympic gymnast, Gabby Douglas, a Millennial following, and investments from companies like Unilever, Nicole’s brand took off in just about five years, according to Forbes, and the brand is continuing to quickly grow. Nicole is also one of very few Black women to have raised $1 million in venture capital for her business. 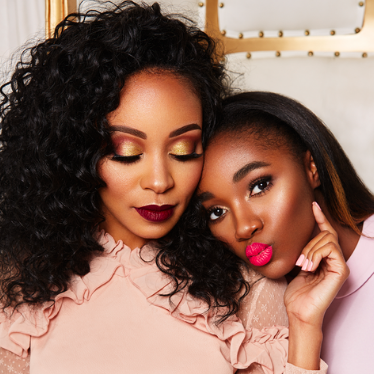 It’s a pleasure to see another Black woman thriving in the beauty business with aims to promote inclusivity and empowerment. Nicole has taken inclusivity to the next level by moving Black women to the front, which really shows that this is a beauty brand that wants to cater to us! We hope that other brands will follow suit.